Do you want to use tiles of any size? 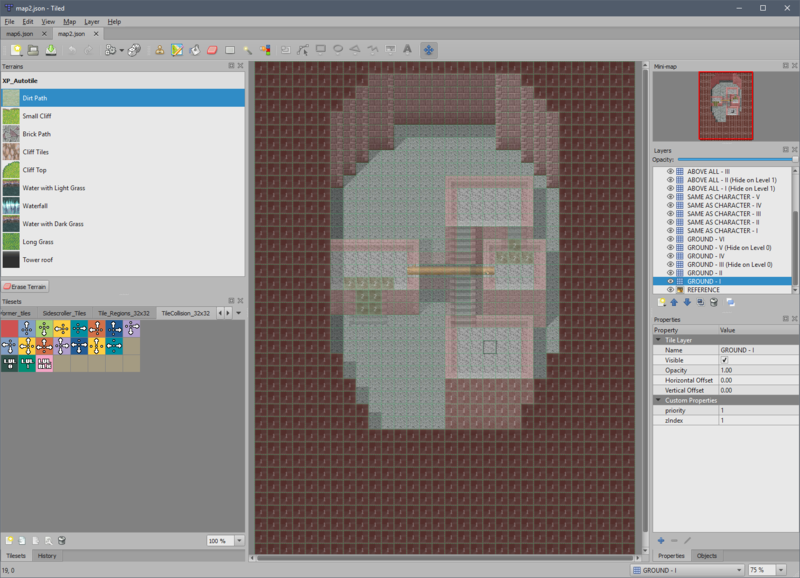 Tired of RPG Maker VX-MV style map editor? Want to have more control over your map collision? Want more animation frames from your tiles? Do you prefer a more painterly style of way of mapping? 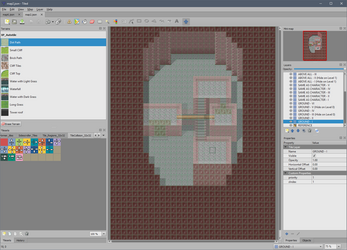 Tiled is a general map editor made by Thorbjørn Lindeijer. It offers many features such as multiple layers, grid-free object layers and more! We recommend reading the documentation on the Tiled website for the full list. 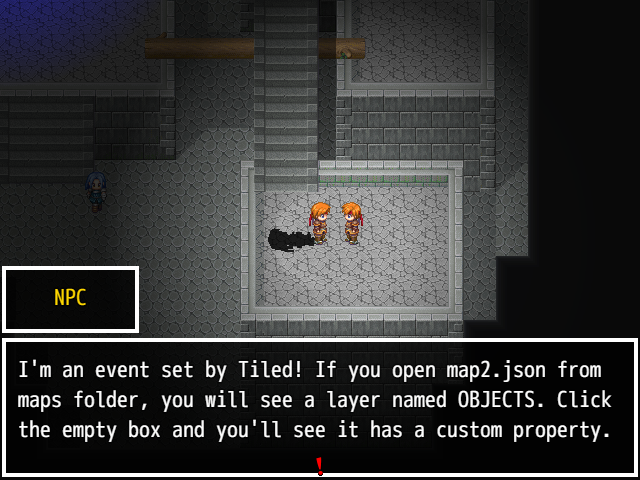 We implemented it in RPG Maker MV for our personal projects and we hope that it will help your project in the future! All our plugins are tested on newer versions of RPG Maker MV. All false reports about this plugin not working on X version of RPG Maker MV will be swiftly ignored and/or deleted to avoid misinformation. You can use the plugin for commercial and non-commercial purposes. If you wish to support us, you can give us a tip. You must credit Dr. Yami and Archeia when using this plugin. 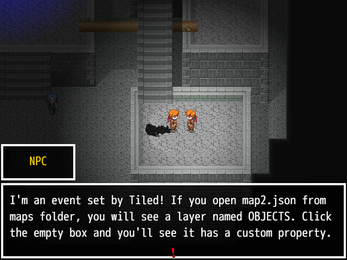 You cannot use the RPG Maker materials found in this demo for non-RPG Maker engines. 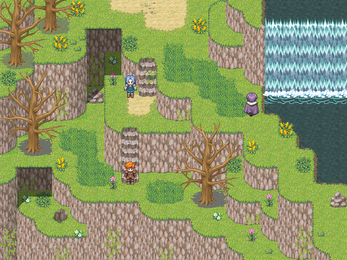 You must own RPG Maker XP in order to use the assets found in this demo for other maker engines. You cannot use any of the custom assets, found in the demo. You can however use any of the image graphics found in Map Templates. We're super busy and we won't have time to do compatibility fixes or checks AT ALL. Please test it out yourself and ask the respective developer for any issues that may happen. We will not take responsibility if your project breaks because of misuse of the plugin. Your project is your own responsibility. Always make backups. A redo of the documentation. Still in early stages but should contain a lot of useful information. This is a very basic rundown of how to use RPG Maker MV auto tiles as terrains in TileD (Terrains are used like autotiles in TileD) It also covers how to animate RPG Maker animated autotiles in TileD. 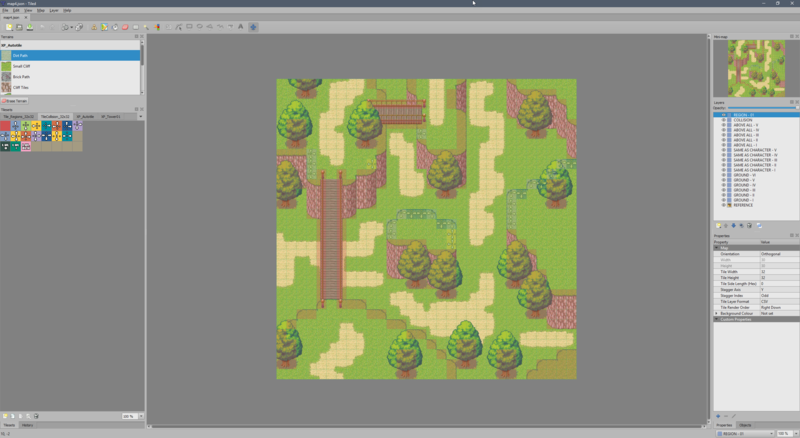 This is a short tutorial to show you how to work with RPG Maker's autotiles in Tiled to make pre-rendering mapping easier. If you do not know what Tiled is, it's a program that allows you to create maps with Tilesets (like RPG Maker) but with the added bonus of an unlimited number of layers, unlimited tilesets per map and the possibility to extract multiple PNGs from your map so that you can edit its lighting in photoshop (if you want to) among other things. To make a bug report, simply report it in this thread. Chances are, I will find out about the bug in this thread than by making one in the JS Support forum.